Cardinal Dolan, Save Your Soul! 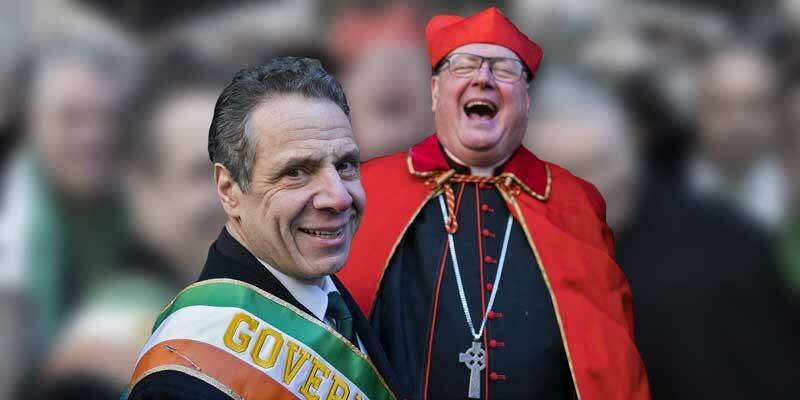 In a recent New York Post front-page article, Timothy Cardinal Dolan asks “why” Gov. Cuomo signed a permissive abortion law. Virginia, Rhode Island, and other states are now also discussing doing the same. What would be the reason for asking a question which neither he nor anybody else may ever be able to answer? That’s another conundrum that begs the same question. We can only guess. It appears that the well-heeled abortion lobby is in a panic as a result of rumors that Roe v. Wade’s days may be numbered. One thing that Cardinal Dolan’s ruminations certainly enable, however, is further inaction on his part, whose brief from the Lord is not to act the part of public philosopher or psychoanalyst, but to lead souls to Heaven. Beginning with his own. So Cardinal Dolan doesn’t answer the question he poses in his article because he cannot possibly do so. Is this a case of self-enabling moral paralysis? The article leads us on but never takes us to a final decision. Yes, Cardinal Dolan is a pastor and not a politician. But he, like all pastors today, lives in a world where politicians no longer respect the same separation of Church and state which they demand of others. Pastors must now speak out in clear terms when pols cross the line into promotion of moral evil. Murder of the unborn is one of these areas. Cardinal Dolan also in other comments made the excuse against use of the penalty of excommunication because he claims that people might think he and other bishops who do so are “angry or frustrated.” This also is irrelevant. The canons make clear the bishop is to act to protect the unity of the flock and the clarity of moral teaching regardless of his personal feelings about the matter. Cardinal Dolan says he is a pastor: that’s what pastors do. The criteria include “those persevering in manifest grave sin.” Cuomo certainly fits within this parameter. He has very likely already been privately warned or counseled by Cardinal Dolan or others, as Dolan alluded to in other comments. At this point lack of correction, despite previous warnings, calls for protection of the flock through public notice of such correction. Excommunication serves that purpose. It’s about the pastoral concern for souls regardless of the effect such might have on the pastor.